(English) The Tate Modern project kick-started the regeneration of this wasteland area where in the past they put all the industries that were unpleasant and smelly. The power station was totally transformed by Swiss architects Herzog de Meuron and now also includes a new wing. The background to the collection is that in the late 1980s Tate realised that Millbank was too small and decided to split collection in two – British and International 20C art. Thus Tate Modern now displays the latter and contemporary art. 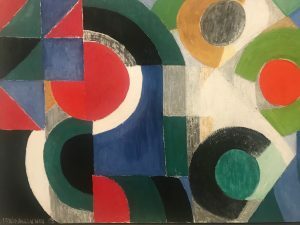 The Tate Modern highlights tour the aim is to put the collection in an international art historical context and include some the most famous pieces such as Mark Rothko’s Seagram Murals and Salvador Dali’s Lobster Telephone. We will finish the tour on the 10th floor and admire the incredible views of London, here seen from a new angle. Half an hour’s boat journey from central London and closely associated with Greenwich Mean Time and the Royal Observatory, Greenwich is a perfect outing with plenty of museums and palaces to visit. The famous tea clipper Cutty Sark is located next to the charming Georgian town centre. 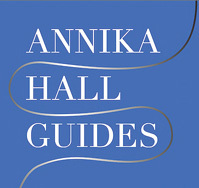 There are many royal associations; Henry VIII and Elizabeth I were both born there and Russian Tsar Peter the Great learnt ship building nearby. 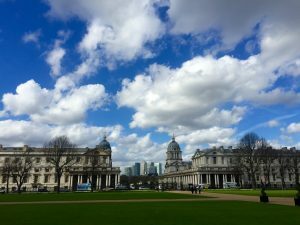 Our typical visit includes a tour of the Royal Observatory to learn more about the history of correct time keeping and a visit to the splendid Painted Hall in the Royal Naval College where Admiral Lord Nelson lay in state after the victory that cost him his life at the Battle of Trafalgar. For more information on Admiral Nelson The Maritime Museum is the ideal place. Lunch consisting of Fish & Chips at Cutty Sark Tavern, located by the Thames, provides that special maritime feeling.Half an hour’s boat journey from central London and closely associated with Greenwich Mean Time and the Royal Observatory, Greenwich is a perfect outing with plenty of museums and palaces to visit. The famous tea clipper Cutty Sark is located next to the charming Georgian town centre. There are many royal associations; Henry VIII and Elizabeth I were both born there and Russian Tsar Peter the Great learnt ship building nearby. Our typical visit includes a tour of the Royal Observatory to learn more about the history of correct time keeping and a visit to the splendid Painted Hall in the Royal Naval College where Admiral Lord Nelson lay in state after the victory that cost him his life at the Battle of Trafalgar. For more information on Admiral Nelson The Maritime Museum is the ideal place. Lunch consisting of Fish & Chips at Cutty Sark Tavern, located by the Thames, provides that special maritime feeling. 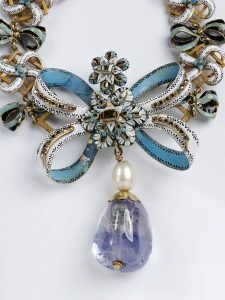 The famous gallery at the V&A is probably the best place in the world for fabulous jewellery. We will see beautiful pieces such as the ‘Armada Jewel’ possibly a gift from Elizabeth I, Cartier’s ‘Tutti-Frutti’ bandeau bought by Lady Mountbatten and learn about some illustrious owners like the Marchioness of Londonderry seen/depicted in a painting outside the gallery literally bedecked in gem stones, some of which are on display. Maybe followed by an expresso in the V&A Members’ Room designed by Carmody Groarke and with a view of Amanda Levete Architects Exhibition Road entrance, entirely covered in porcelain tiles.The famous gallery at the V&A is probably the best place in the world for fabulous jewellery. We will see beautiful pieces such as the ‘Armada Jewel’ possibly a gift from Elizabeth I, Cartier’s ‘Tutti-Frutti’ bandeau bought by Lady Mountbatten and learn about some illustrious owners like the Marchioness of Londonderry seen/depicted in a painting outside the gallery literally bedecked in gem stones, some of which are on display. Maybe followed by an expresso in the V&A Members’ Room designed by Carmody Groarke and with a view of Amanda Levete Architects Exhibition Road entrance, entirely covered in porcelain tiles. (English) Scandinavian design has long been described as the most important design movement since World War II. 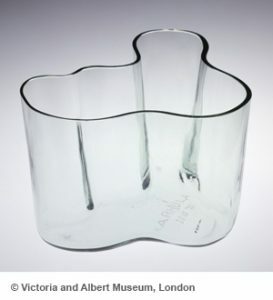 We will look at 20th century Scandinavian design icons such as Alvar Aalto’s Savoy vase, Stig Lindberg’s ceramics, the Verner Panton chair, Poul Henningsen’s Artichoke Lamp and Arne Jacobsen’s ‘Series 7′ chair made famous by Christine Keeler. and raised enough money for the foundations of Victoria & Albert Museum, then followed Natural History Museum, Royal Albert Hall and many other monuments. Sadly Prince Albert died very young, but he will be forever remembered with the beautiful memorial commissioned by Queen Victoria. 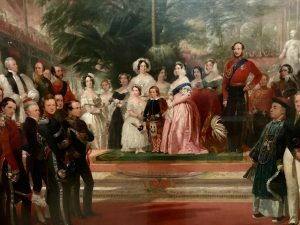 In 2019 the bicentenary of Queen Victoria and Prince Albert, both born in 1819, is celebrated. We will commemorate their birthdays with a walk starting in the Victoria & Albert Museum and ending in Hyde Park.